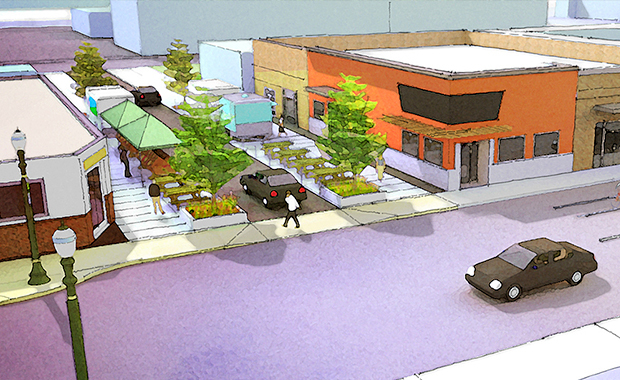 Prosper Portland hired NNA Landscape Architecture to lead a public engagement process and design and implement streetscape improvements in Portland, Oregon’s Gateway district along Halsey and Weidler between NE 99th and NE 112th Avenues. 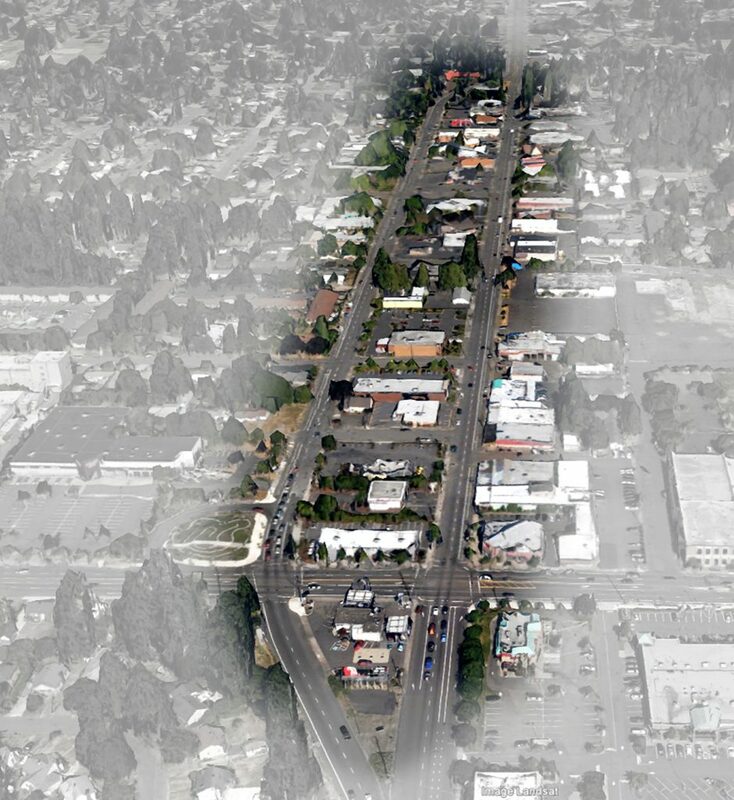 Working with an economic strategist, the local business association and other partners, NNA co-led multiple public meetings to gather input from community members and create a vision for the corridor, one of East Portland’s most distinct business districts. Completed in 2014, the Halsey Weidler Streetscape Plan focuses on providing safe crossings at key intersections through a mix of improved corner ramps, curb extensions, pedestrian-scaled street lighting, street trees and marked crosswalks at rapid flashing beacon locations. The plan also calls for creating special neighborhood identity features at each end and along the corridor. Since completing the streetscape plan, NNA has maintained good relationships with the community and has completed multiple projects along the corridor. With funding from Portland’s Bureau of Environmental Services, we designed a stormwater feature at the entry of the “East Triangle.” The design includes a public plaza, a grassy area, trees and other landscape elements, as well as an interpretive kiosk explaining on-site energy generation. 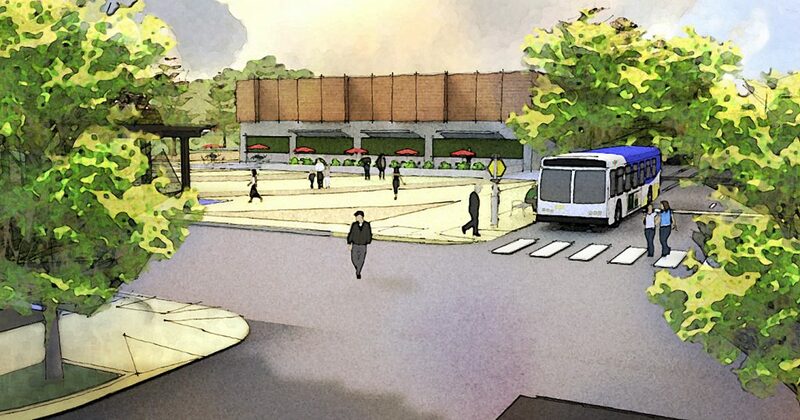 We also completed a curb-less flexible street design for 103rd Avenue between NE Halsey and NE Clackamas Streets that will become a connector and safe activity zone for pedestrians and accommodate special events. Construction documents are complete and construction is expected to begin soon.